Posted: October 3, 2017 in Obscurities, Rodways Repco Recollections, Who,What,Where & When...? 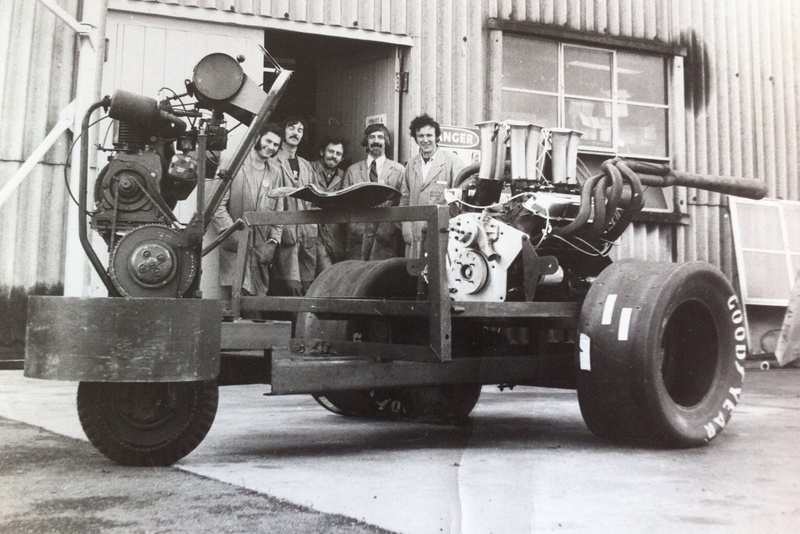 Repco Engine Development Co chief Malcolm Preston bought this Veggie Cart from Melbourne’s Victoria Market to shift shite around the plant. These enterprising lads have neatly set it up for this fun shot. Luvvit! The dapper bearded ‘70’s dude wearing the tie is Don Halpin, I spoke to him not so long ago, he hasn’t changed too much at all. Rodway Wolfe says the guy left of Don is John McVeigh and moustachioed fella is Ken Symes, on the far right is Brian Slader. I’m guessing the up and over exhausts are to fit Frank Matich’s McLaren M10B/C, Frank was the works Repco driver who did the development work long before the first customer engines were sold. That makes it 1970 or 1971, but there are a load of Australian F5000 nutbags who can probably provide the date and time of day. The Bowin P8 also had this style of exhausts to clear the rising rate suspension linkages which precluded a low exhaust, that would make it late 1971 or 1972. Mind you, thinking about it some more, the exhausts fitted may be just for the dyno. Its out that side door so the big V8 may be heading in the direction of the test-house. The long inlets look like those of one of the you-beaut, super trick, schmick, flat-plane crank engines too. These gave 525bhp, Repco’s horses were always stallions too, not geldings! So…that makes it 1973/4, the Repco boys ‘fashionable’ looks also define that era. The Repco cart photo is sourced from Mark Beasy, he and Will Beasy have a great Repco connection having inherited the only Repco Holden F5000 powered Lola on the planet, the ex-John Walker T330 ‘HU23’. It’s getting closer to completion, the project was started by Mark and Will’s dad, Brian many years ago. I remember seeing Brian on quite a few occasions at his Lilydale home, client work always got in the way of that particular restoration and the thankless CAMS Historic Commission eligibility work he did. A top bloke- talented motor-cycle racer, car racer and engineer. 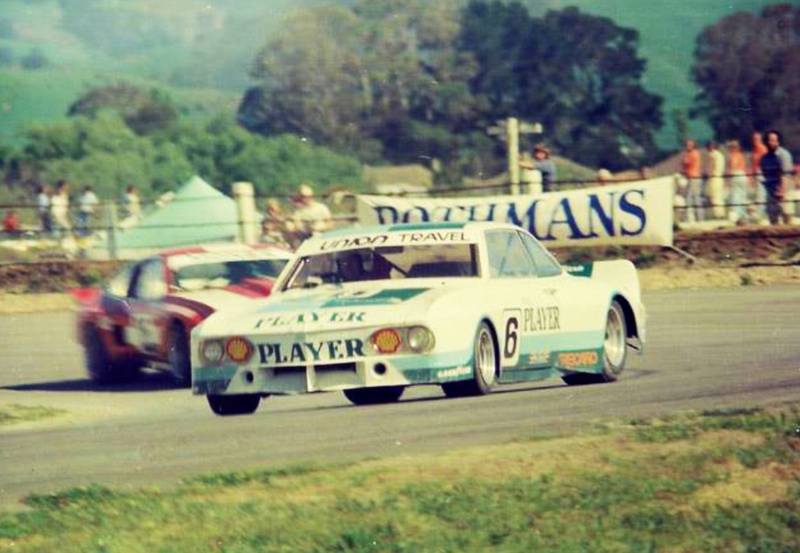 Robert Davies shots have inspired two other articles, this is the third about a car which set a new paradigm in local Oz Sports Sedan racing in the mid-seventies. 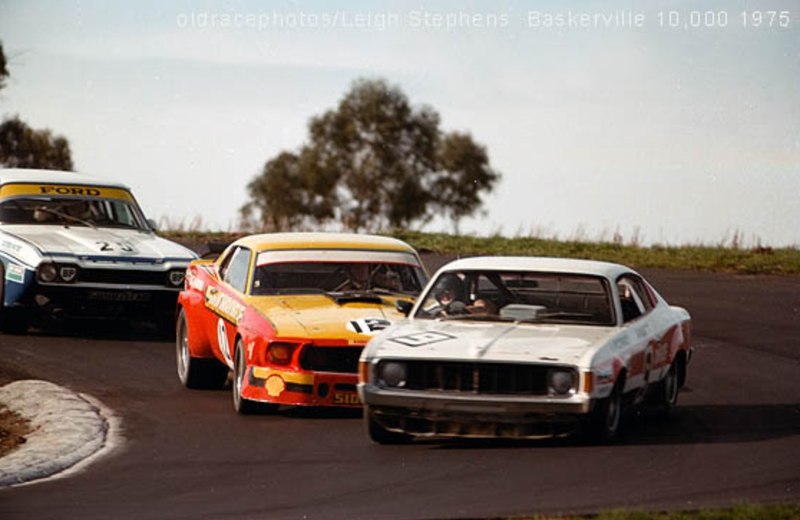 In 1970 Touring Car Racing in Australia comprised ‘Series Production’ for essentially standard cars, contesting the Bathurst 500 and the like. 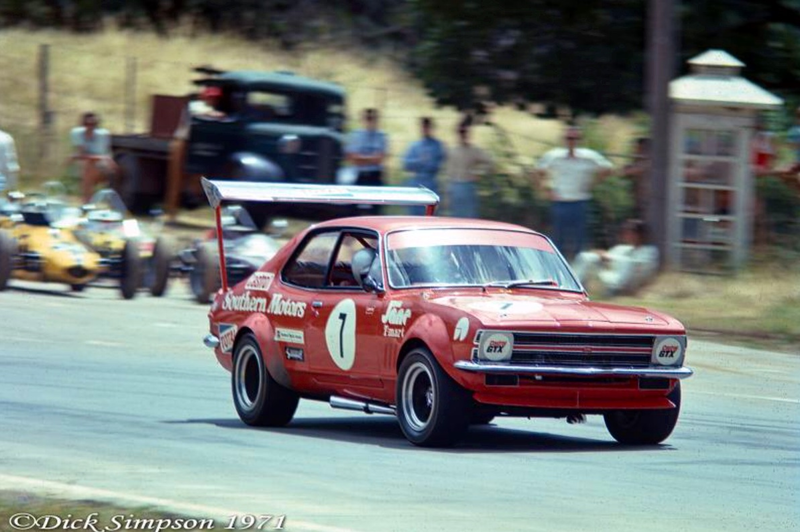 ‘Improved Touring’ were more highly modified cars, the Australian Touring Car Championship was run to these regs, and ‘Sports Racing Closed’ or ‘Sports Sedans’ was an ‘anything goes’ type of category. Sports Sedans were often the province of the more impecunious, owner driver, engineering types who created some incredibly quick Minis, Holdens of all descriptions and the occasional bit of ‘heavy metal’ V8’s from Oz or the US. Australian race fans liked Sedans, they were easier to understand and more spectacular to watch than most open-wheelers and the punters could relate to cars they either drove or saw on the road. Other than during the Tasman Series, in most years our domestic single seater championship, the prestigious ‘Gold Star’ fields were thinnish. Scarce sponsorship dollars progressively found its way to Touring Cars fanning the open wheeler problem. 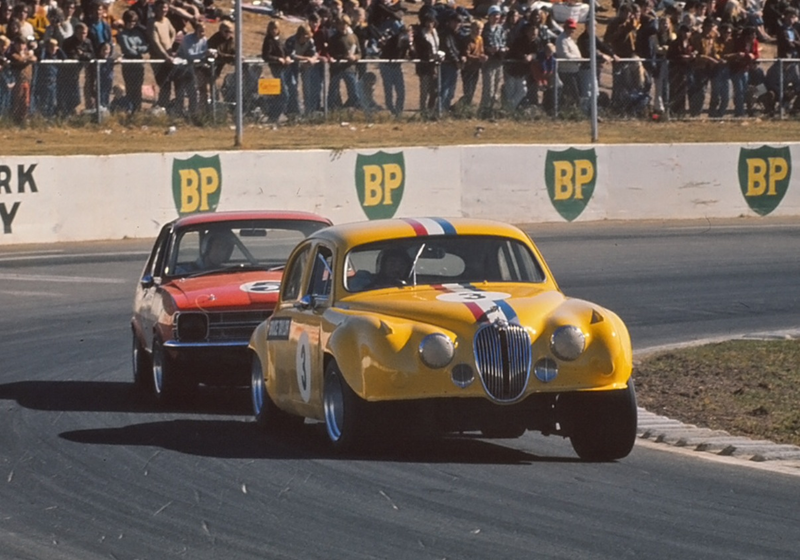 Promoters were keen to give spectators what they wanted to fill their venues, and so, over time the dominance of Touring Cars in Australia occurred. And continues today. Sadly for open-wheeler nutters like me. Castrol, for example, sponsors of Bob Jane Racing, one of our bigger teams encouraged Jane to get out of racers and more into touring cars in 1971. The Brabham and Bowin single seaters and McLaren sporty were progressively put to one side, replaced by a Holden Monaro Improved Tourer and Holden Torana Repco V8 Sports Sedan. 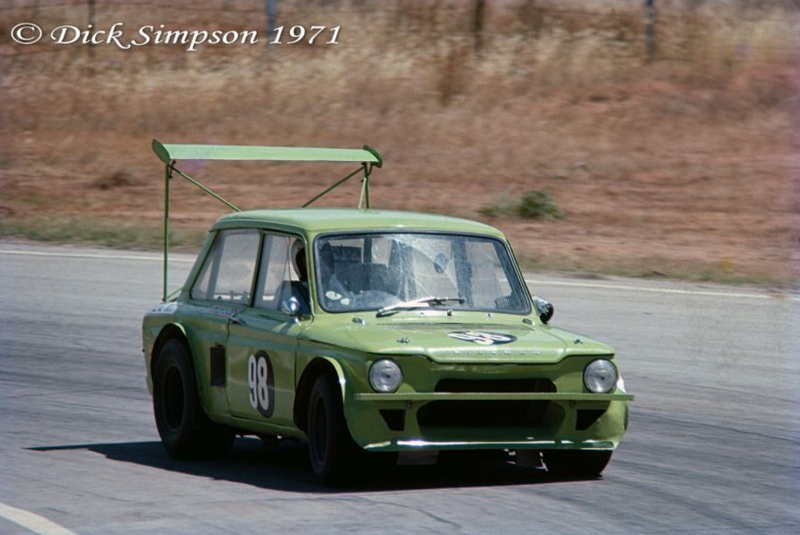 There had been other ‘clever’ Sports Sedans, Harry Lefoe’s Hillman Imp Ford V8, an example but Bob Jane’s John Sheppard built Torana, which married a lightweight but still fully trimmed LC Torana with the Repco 4.4 Litre ‘620 Series’ V8 Bob had sitting in his Brunswick Race HQ took things to another level. 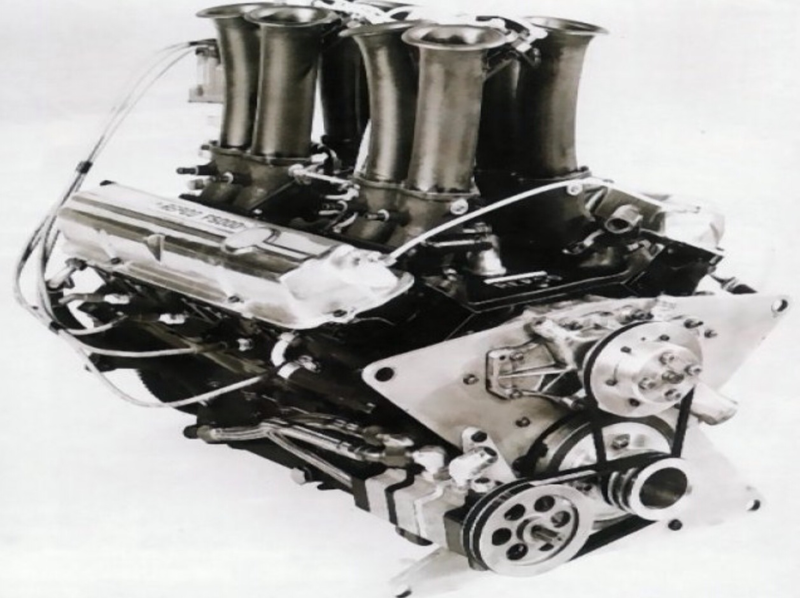 The alloy Repco developed 400 bhp but at 360 pounds weighed less than the cast iron 3 litre ‘186cid’ straight 6 fitted to the car in production form. Bob and John Harvey won many races in this car. 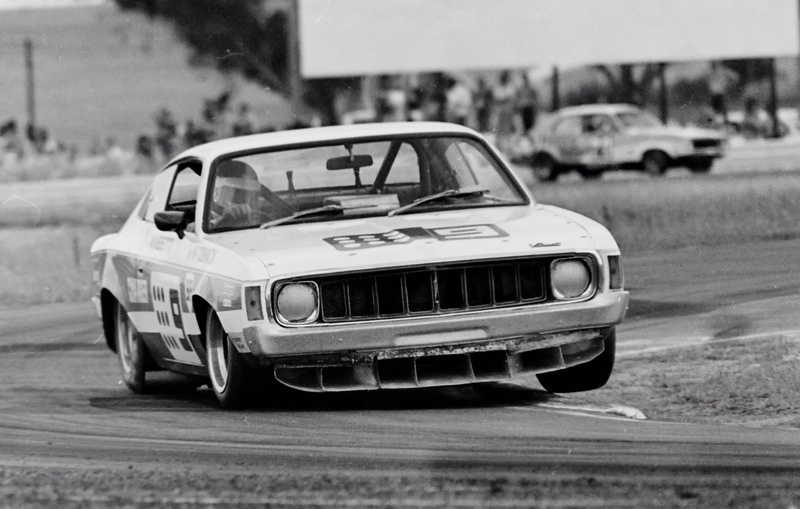 The ‘professionalisation’ of Sports Sedans was underway. Another trend setting Sports Sedan was the Valiant Charger Repco built by Elfin and John McCormack’s team in 1973. Macs background is covered in the article about his McLaren M23 I wrote 12 months ago, you can read it here, I won’t repeat it. 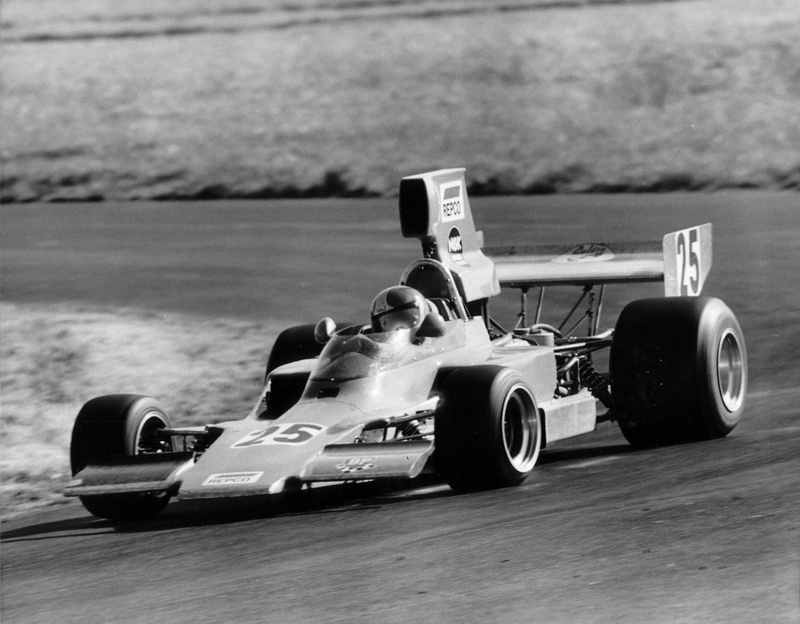 John was an open-wheeler man, he won the Gold Star in 1973 in his Elfin MR5 Repco F5000, but he was also a professional driver who needed to chase dollars. 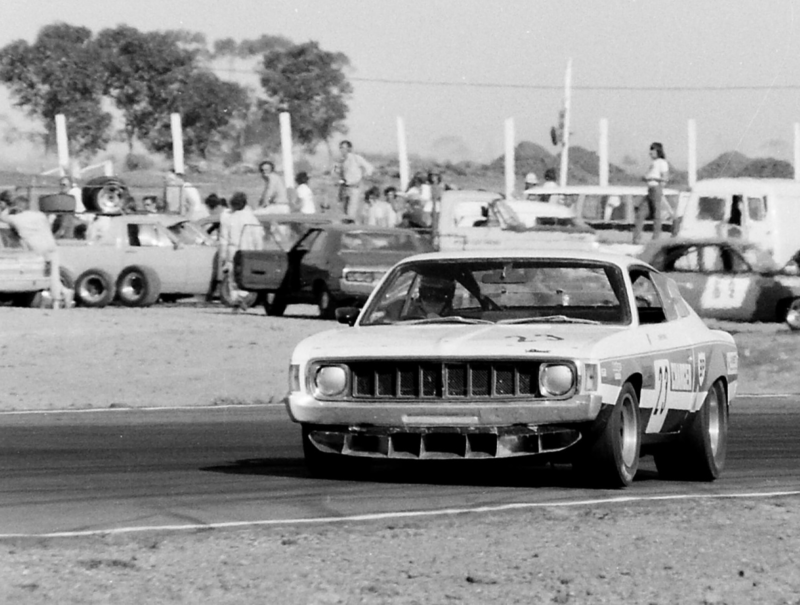 Oran Park promoter Allan Horsley agreed appearance money with McCormack if he ran a Sports Sedan in his ‘Toby Lee (shirts) Series’ in 1974, that was the impetus McCormack needed. McCormack and Elfin boss Garrie Cooper (who ran 2 Elfin MR5 F5000 cars as Ansett Team Elfin in the Gold Star and Tasman Series at the time) toyed with the idea of a mid-engined Chev Corvair but commercially a deal with Chrysler made more sense. In those far away days Ford, GM (Holden), Chrysler (Valiant) and British Motor Corporation all made cars in Australia, with others VW included assembling them here. Now only Ford, Holden and Toyota (who changed from assembly to construction of their cars progressively after 1970) remain but have announced plans to withdraw as manufacturers. The economic and social policy as well as wider societal implications of this are beyond the scope of this article. Suffice it to say the death of the Automotive Industry in Australia is sad, wrong and was avoidable with a mix of better management, cooperation from the global headquarters of Ford, GM and Toyota and politicians who are not fuckwits. An oxymoron i grant you. Elfin were based in Edwardstown, a southern Adelaide suburb, the Valiant factory was at Tonsley Park, not so far down the road. Valiant lost the promotional value of motor racing when they ceased building and racing their performance ‘Chargers’ and were receptive to the idea of a Sports Sedan Charger to go some way to matching Ford and GM who were still actively involved in racing and exploiting its promotional benefits in the competitive local market. In one day McCormack and Ansett Elfin’s John Lanyon negotiated a deal which gave them cash, a truck to transport the racer, support and a Charger which made its debut after much surgery and modification in early 1974. The Charger was the result of the design ideas of McCormack and Cooper but was always Macs project, Garries priorities were production racing cars and his own racing program which was always fitted in around his customers needs. Elfin built 11 cars in 1973, 14 in 1974, a lot from the small facility. 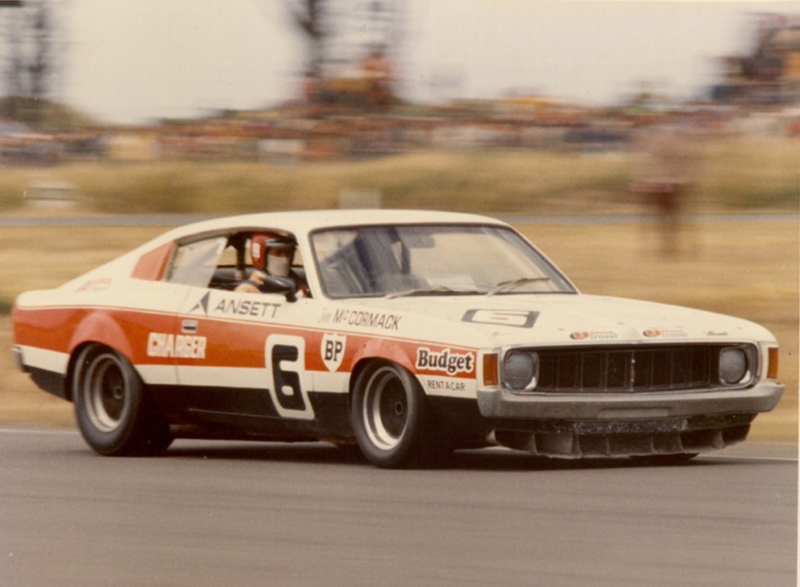 McCormack and his team ran and prepared the car with the income derived going to Mac, but Ansett and Ansett Team Elfin received the promotional value of winning races in a growing part of the sport. The trend setting bit referred to above was the decision to use as many F5000 bits as possible and to locate the 495 BHP Repco Holden F5000 engine amidships beside the driver, the car was in essence mid-engined albeit the engine was in front of the centre-line of the car rather than to its rear. The car was completely gutted of all interior trim and surplus metal, an integral roll cage designed by Cooper adding considerable torsional rigidity to the standard sheet metal shell. Elfin uprights and wheels were used front and rear, upper and lower wishbone’s and coil spring damper units were used at the front and single top link, twin parallel lower links, coil spring dampers, radius rods providing fore and aft location at the rear. Roll bars were of course adjustable. An Elfin steering rack was used as were Lockheed brake calipers. 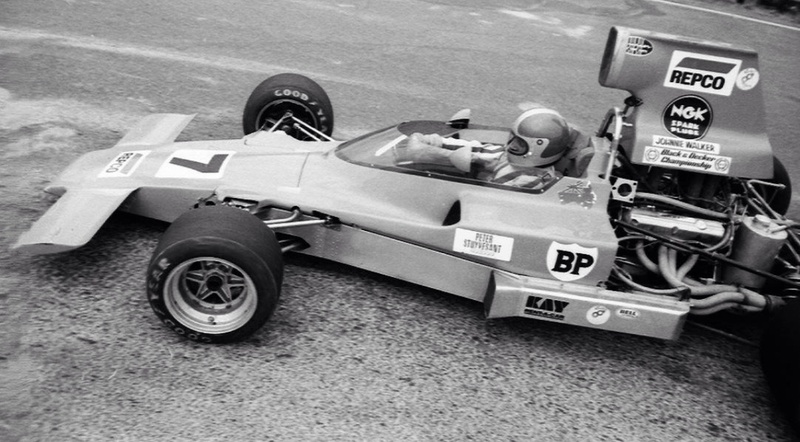 The transmission was standard F5000 issue, a 5 speed Hewland DG300 transaxle, located aft of the engine. There were two though, the front one contained the gears and the rear DG300 case the differential. 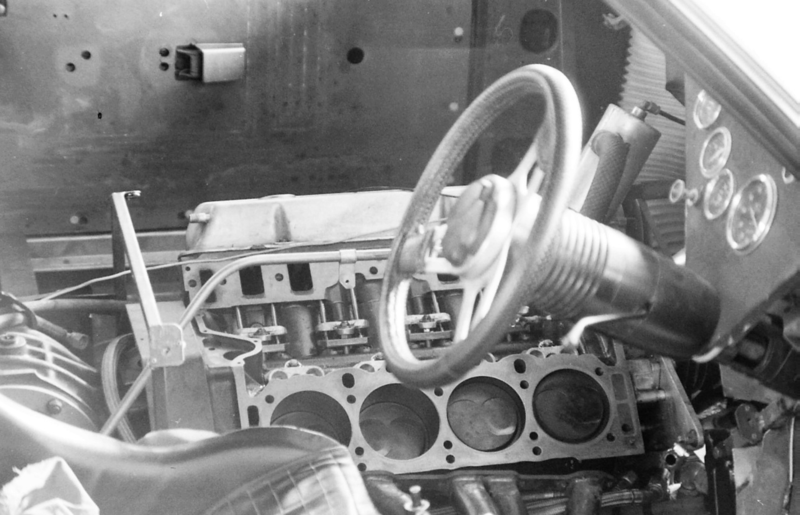 Mac placed the gearchange lever to the right of the very low mounted drivers seat so he would feel pretty much at home, the driving position akin to the single-seaters from whence he came. The Charger had its first race at Adelaide International in early 1974, the Elfin MR6 Leyland F5000 made its debut on the same day, by the end of it the Chrysler executives present were far happier than the Leyland guys, the race variant of that engine always somewhat of a ‘hand grenade’ as covered in the McLaren article referred to above…the Charger cantered away and won its races. 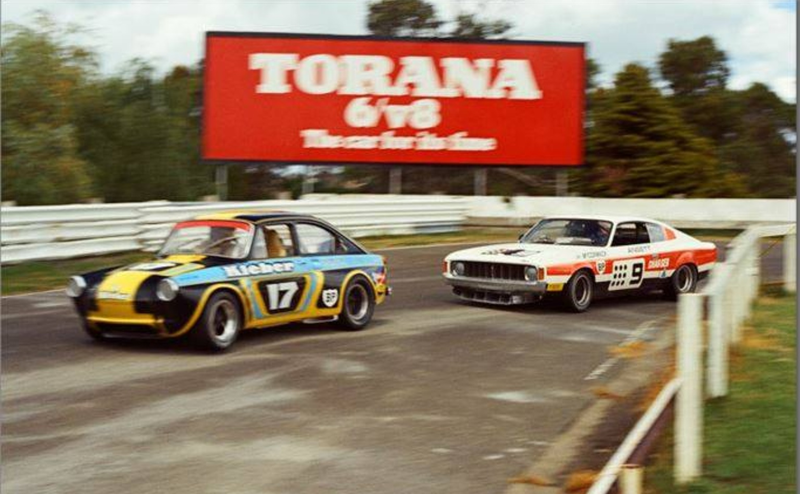 The intelligent beast was immediately successful, Mac getting $2500 appearance money each time he ran in the ‘Toby Lee Series’ at Oran Park and carted away a good share of the prize money in 1974, he won the series from Jim McKeown’s Porsche and Frank Ure’s Holden Torana V8. The car was also raced around the country with similar success. He raced the car into 1975 selling it eventually to Tony Edmonson who was also successful in it. McCormack re-focussed on single seaters with his ultimately successful McLaren M23 Leyland program and was just coming back into sports sedans, having built a Jaguar XJS at the time of the untimely road accident in which he was a passenger, ended his racing career. 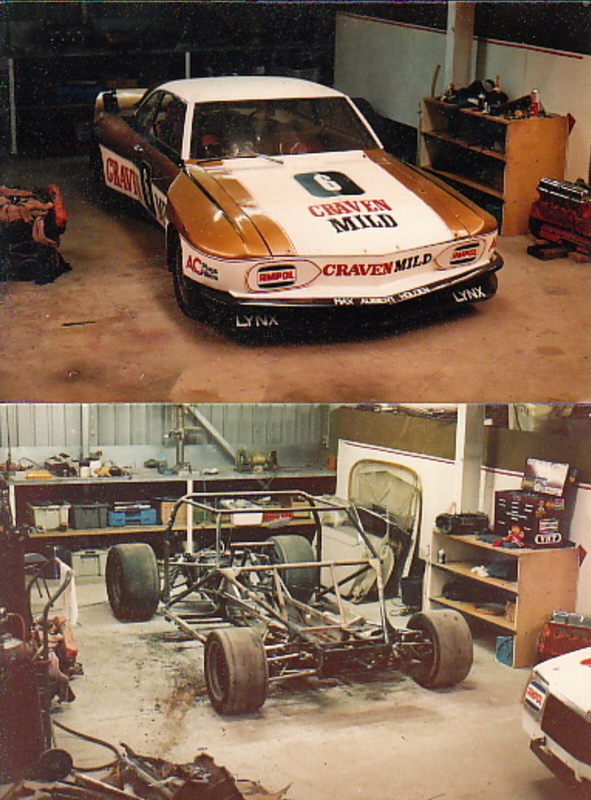 Frank Gardner got around to building a Chev Corvair, the car well engineered (see etcetera below) as you would expect and largely built around Lola F5000 componentry. 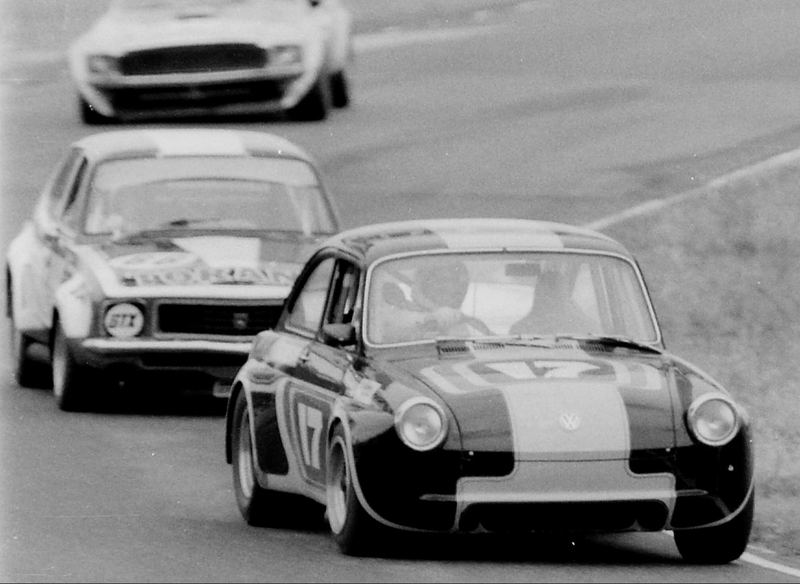 He essentially ‘killed the category’ such was the dominance of the car until the regs were changed to effectively ban it (the Corvairs engine and gearbox in standard form, were located Porsche 911 style, with the engine behind the gearbox, the legislators would allow a Corvair to race in that format but not the layout Gardner had with the classic ‘box behind the engine layout).